Red alert! We’ve long loved watching Julianne Hough play with her hairstyles (who can forget that cute chin-length bob she sported a couple years ago? ), but through all the cuts, she has pretty much always kept her color some shade of blonde — until now! Just in time for Valentine’s Day, Hough took to Instagram on Wednesday, February 14, to share that she had transformed from an icy blonde to a fierce redhead, and she’s never felt better! In her very candid post, Hough explained that despite all her years with light hair, she feels remarkably at ease with her new darker amber hue. Hough turned to her longtime friends at Nine Zero One Salon in Hollywood for the bold transformation, and she thanked her colorist Amber for making her “hair dreams come true.” On her own Instagram, the colorist called Hough’s new color “femme fatale red” and said she had “a lot of fun taking” the dancer and actress darker. We’ve all heard how difficult it can be to find the perfect shade of red, but darker roots and honey-toned streaks add depth and dimension to Hough’s flowing locks and play well with her naturally dark eyebrows. 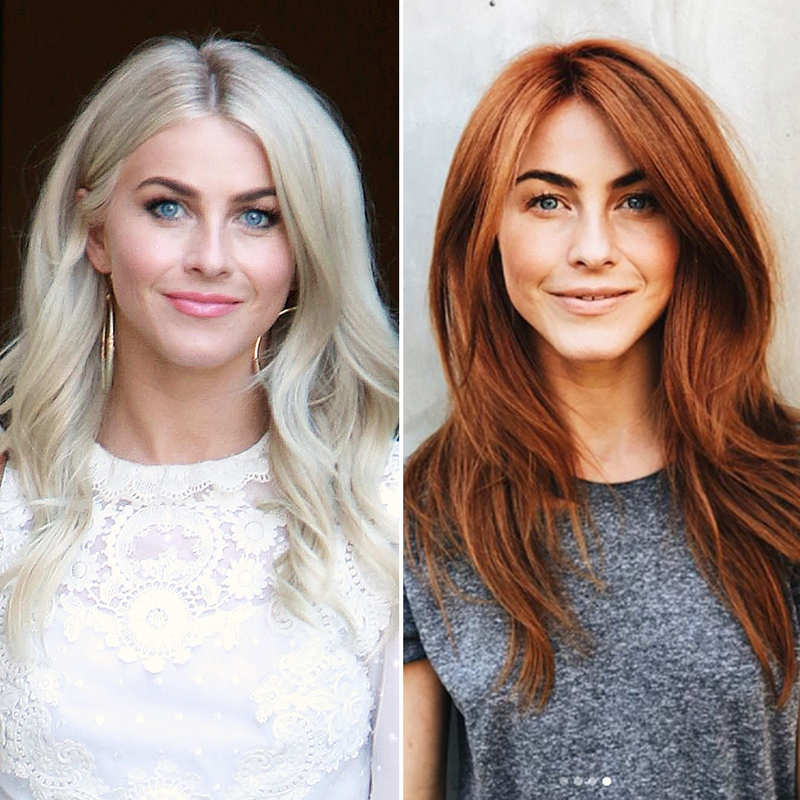 While we love Hough with any hair color, there is no denying the girl is seriously glowing in these adorable snaps!